"Polish Tanks and Infantry Driving Toward German Lines"
Polish tanks and infantry driving toward German lines. Polish II Corps. 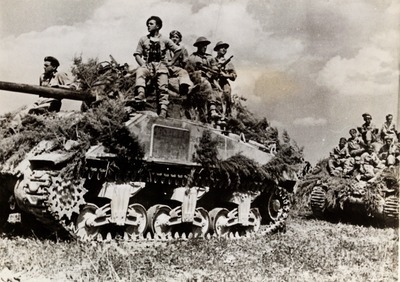 Italy, July 1944.